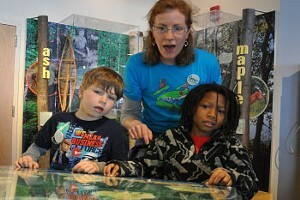 A Motivated Young Cadet Takes to the Sky | One to Watch | Kids VT - small people, big ideas! A wide smile spreads over Imani Kowalewski's face when she talks about her first solo flight last August. 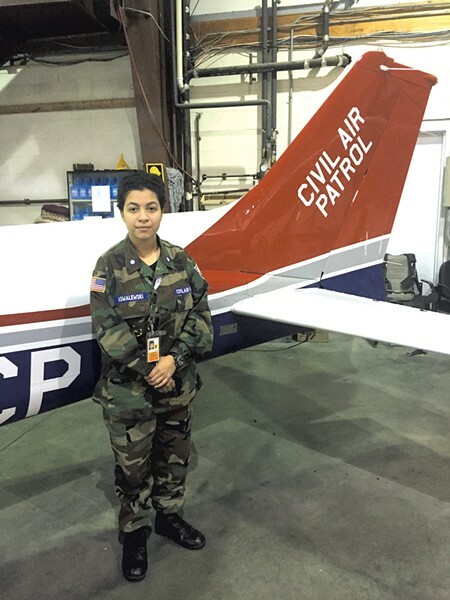 It happened at a summer flight academy in Maine sponsored by the Civil Air Patrol, a civilian auxiliary of the U.S. Air Force that helps to promote aerospace education and provide emergency services such as search-and-rescue missions and disaster relief. On the final day of the weeklong camp, Imani practiced taking off, flying and landing with her instructor in a Cessna 172. After the fourth landing, the instructor told her to return to the ramp. "I was thinking, Aw, I didn't get my solo," she recalled. "I was kind of bummed." Instead, he signed her logbook then jumped out of the plane, reminding her, "Once you take off, you have to make the landing." The 18-minute flight went off without a hitch and ended with what her instructor deemed "a really nice landing." To celebrate, she and the other successful soloists had buckets of water dumped on their heads as the Top Gun song "Danger Zone" played. Imani's first exposure to aviation came when, at 9 years old, she attended a day camp through STARBASE Vermont, a local STEM education program. While there, she tried out a computerized flight simulator. After the instructor told her it was impossible to make a 747 do a loop-de-loop, she went on to do two of them, and her passion for flying took off. Since 2014, Imani has been part of CAP's Cadet program, which serves young people ages 12 and up. Homeschooled since kindergarten, Imani found out about the Cadet program through a friend and says she was drawn in because of its focus on aerospace education. The program, which has 85 participants under age 18 in Vermont, and more than 24,000 nationally, also teaches physical fitness, teamwork, leadership, search and rescue, and radio communications skills. Cadets are entitled to five powered-aircraft flights — the CAP has the world's largest fleet of single-engine Cessnas in the world — as well as five glider flights, at no cost to them. The goal is to expose them to aviation, though it's up to each cadet whether he or she wants to take the next step and train to become a pilot at age 16. Imani went for it. She started weekly flying lessons with Chuck Webster, a CAP member and Federal Aviation Administration-certified flight instructor, in September. They leave from Burlington International Airport for two-hour stints in one of the CAP's Cessna 182s, a slightly heavier and more powerful plane than the one in which she soloed. They often practice takeoffs and landings at the less-busy Plattsburgh International Airport or Springfield's Hartness State Airport. And they work on situational awareness, or how to respond in different scenarios. Imani has "the kind of personality that's going to work out well as a pilot," says Webster. "She's just a very motivated, enthusiastic person ... She's very calm and self-possessed, very poised and in control of herself." She has fun when she's flying, he adds, but never gets "rattled or overly excited." Imani finished her high school coursework at age 16, and last year earned 27 college credits through the Community College of Vermont. Currently, she's a second lieutenant in the Cadets and serves as an officer to around 20 younger participants. She oversees drills, creates aerospace-related lesson plans and activities, and teaches a leadership class. She also works at fast-food chain Wendy's more than 30 hours a week to pay for her flying lessons, which are discounted because of her Cadet status. She hopes to have her pilot's license — which requires passing both a written and practical test — before her 18th birthday, at the end of May. If all goes according to plan, in June she'll begin Plebe Summer at the United States Naval Academy in Annapolis, Md., a training program that will prepare her for studying there. While at the Naval Academy, she'll pursue aerospace engineering so she can learn not just how to fly a plane, but why planes fly the way they do. After graduation, she hopes to have a long military career as a Marine pilot. "The goal," she says, "is definitely to never stop flying."